Although several memoirs and non-fiction narratives have been written about North Korea during the past few years, fiction has been sparse. Characters in these narratives tend to be flat and one-dimensional. In this guest blog I discuss recent novels written by South Korean Krys Lee and American Adam Johnson that “give a voice to the most voiceless people in the world” by introducing North Korean characters who have both dimension and humanity. 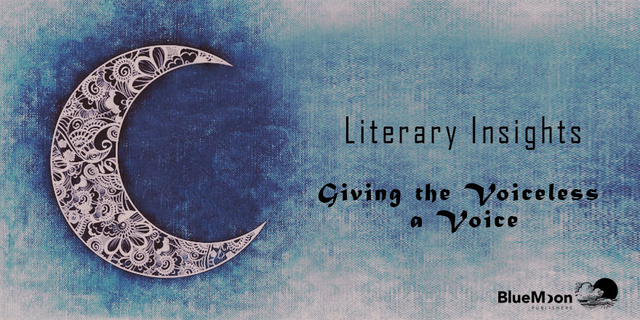 In the Writers’ Notes I provide insights into giving a voice to the voiceless. The literary endeavor, the humanist endeavor, is based on the premise that we’re all the same, and I believe that. When you talk to North Koreans or read their stories, you can be shocked by things they’ve seen in the famine or traumas they have been through, but what strikes me the most is how much we have in common. They want the same things: safety, security, a better future for their kids, self-definition, everything I want. So I think that a fiction writer can project humanity inward, based on the assumption they are just like us. The Orphan Master’s Son introduces a model citizen who does what he is told, when he is told, and does not question as he dutifully plays his assigned roles of tunnel soldier, kidnapper, and naval spy. His life begins to change when he encounters the American Navy at sea and is introduced to a different way of thinking and being. Eventually Pak Jun Do must decide if he is going to be a survivor or if he is going to have something worth living for. In writing her earlier short story collection, Drifting House (2012), as well as How I Became a North Korean, Lee sought to lift her characters above being stereotypical types. “In the case of a country as secretive as North Korea, it is easy to forget that the country is made up of individuals,” she said during a BookBrowse interview. How I Became a North Korean is narrated by three different refugees on the run from North Korea whose lives intersect along the dangerous border North Korea shares with China. From vastly different backgrounds but driven by similar hopes, Yong-ju, Jangmi, and Danny confront violence, starvation, sexual abuse, and enslavement by Christian missionaries as they try to wend their way to freedom. The multiple-perspective approach adopted by Lee allowed her to explore different experiences and personalities of refugees. “I don’t experience the world as a single voice, and I’ve never been interested in seeing the world through my single, limited viewpoint,” explained Lee during an interview with The Millions. What happens to your inner faults and feelings—what we would call a personality—if you shield it, if you don’t give voice to it? How long can your soul remain hidden from the people you care about without it withering? And when would you take the chance to share these things? This obsession gradually evolved into a passion to become the silenced voice of North Koreans. Krys Lee believes that writers should “write from a need and respond to the material that feels urgent and personal.” Her involvement in the North Korea refugee issue and her disillusionment with events she witnessed at the border fueled her passion to also give voice to these people who cannot speak themselves. Johnson spent several years researching historical materials, propaganda, and oral histories of defectors as the characters and plot of The Orphan Master’s Son began to take shape in his imagination. Lee relied more on her personal experiences with and observations of defectors than traditional methods of research, although she did read many books and articles, primarily to confirm what she already knew. It took Krys Lee five years to write How I Became a North Korean. It took Adam Johnson seven years, including a five-day trip to North Korea (during which he was allowed no contact with the average citizens about whom he was writing), to write The Orphan Master’s Son. The end result was two beautifully written, highly acclaimed novels that have given a voice to the voiceless of North Korea. Do you have a favourite book that addresses the struggles of North Korea?